Rock musician. 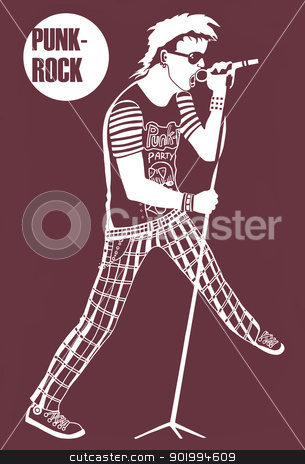 The rock musician, sings in a microphone at a concert. Raster illustration.